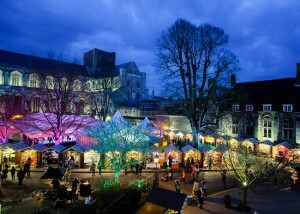 Regularly tipped in TOP 10 LISTINGS and running from Saturday 17 November to Thursday 20 December, Winchester Cathedral’s Christmas Market is recognised as one of the best Christmas Markets in Europe because of its unique location, high quality exhibitors and bustling atmosphere. 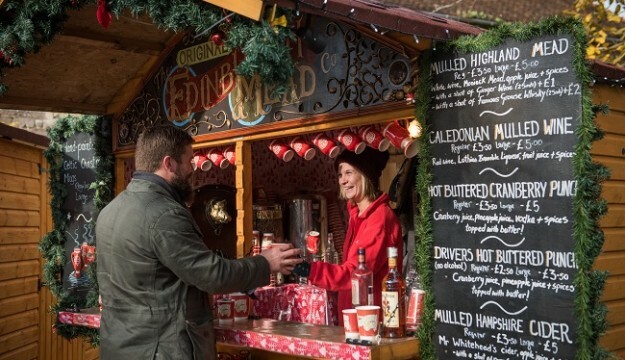 Wonderful Christmas gifts, decorations and festive foods can be found in abundance, with a delightful Food Court, British Crafts Village, and over 100 chalets to explore. Coach parties and groups from all over the UK and overseas are most welcome. Group organisers are asked to book in advance. 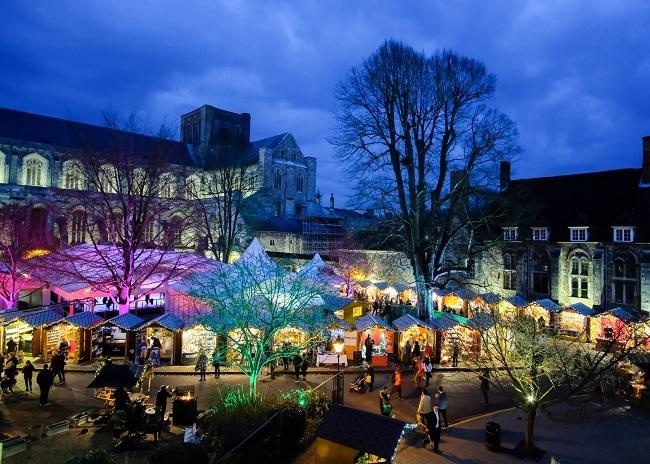 There is no charge to enter the Christmas Market and a free meet and greet service is available from the coach drop-off points. To make the most of your visit, we encourage you to take time to visit the Cathedral. Recognising that time is of the essence, we have developed a ‘highlights’ tour that takes 30 minutes (approx.) to complete. Group admission rates apply.